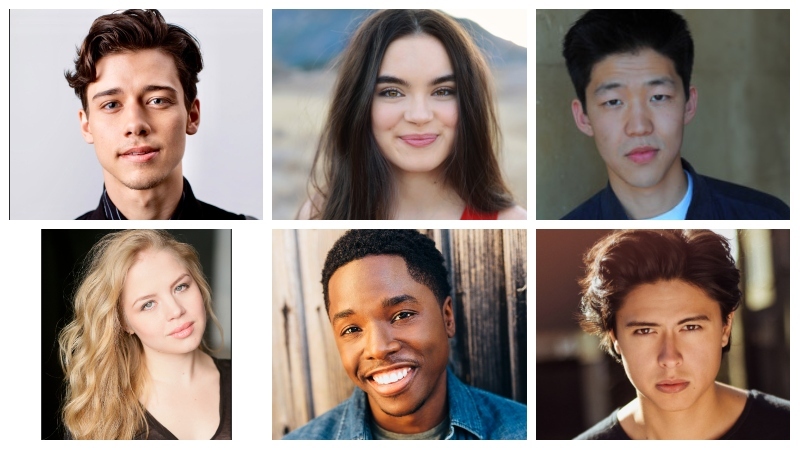 Almost a year after ordering the miniseries adaptation of the controversial John Green novel Looking for Alaska, Hulu has rounded out its cast with the additions of Empire‘s Denny Love, American Vandal‘s Jay Lee, Fuller House‘s Landry Bender, Medium‘s Sofia Vassilieva, Girl Meets World‘s Uriah Shelton and Riverdale‘s Jordan Connor. Josh Schwartz (Dynasty) wrote the pilot and will serve as executive producer and showrunner on the series while Fake Empire’s Stephanie Savage executive produces with Jessica Tuchinsky, Mark Waters, Green and Marty Bowen and Isaac Klausner of Temple Hill. Fake Empire exec Lis Rowinski will co-executive produce. Love has signed on to portray The Colonel, who is described as short (and very smart) muscular tank of a young man. The Colonel (his real name is Chip Martin) is a scholarship student and under orders from his mother to get a good enough education. He’s an enemy of the lacrosse jocks (aka “The Weekday Warriors”), and regards Alaska, Miles, and Takumi as his friends. He’s insanely loyal to his friends. Lee will play Takumi, a member of The Colonel’s group of outcasts, he’s famous for knowing all the gossip and effortlessly bounces back between the two groups of friends but is ever loyal to The Colonel and Alaska. Bender will star as Sara, The Colonel’s girlfriend, she is also short and angry – but her rage is only directed at The Colonel because he manages to do something that pisses her off pretty much every time they interact. She and The Colonel are one of those bickering couples, who spend their lives hollering at each other. Shelton is set to portray Longwell, a handsome, rich and entitled jock (aka a “Weekday Warrior” douchebag) at the school. A rich kid, he despises The Colonel and all of his non-jock friends, making their lives as miserable as possible. Connor will play Kevin, Longwell’s acolyte (and not so bright friend), Kevin is another “Weekday Warrior” lacrosse bro. He follows Longwell’s lead in everything and blames The Colonel when a member of their clique gets expelled. Vassilieva will star as Lara, a cute, shy and sweet girl from Romania, who develops a crush on Miles. The six casting additions join the previously announced Charlie Plummer (All the Money in the World) and Kristine Froseth (Apostle), who will lead the series in the roles of Miles and Alaska. Looking For Alaska is the award-winning, genre-defining debut from John Green, the #1 international bestselling author of Turtles All the Way Down and The Fault in Our Stars. With millions of copies sold, the novel is a New York Times Bestseller, a USA Today Bestseller, a Los Angeles Times Book Prize Finalist and TIME Magazine‘s 100 Best Young Adult Novels of All Time. Green was awarded the American Library Association’s Michael L. Printz Award for Looking for Alaska, which PBS recently included in its Greatest American Read – 100 Most Beloved Books.